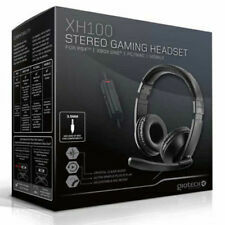 Gioteck HCX1 Headset. Format Multi-Format,Xbox One. Type Headset. Colour Black,Green. Get assistance at any point. Adjustable Mic Boom. Crystal Clear Audio. Simply connect to any compatible device and the XH-100 Gaming Stereo Headset is ready to go when you are! 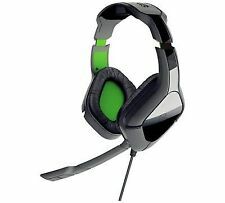 Lightweight wired gaming headset. Adjustable mic boom for clear voice transmission. I have received my item but I no longer require it?. Compatible with Xbox One. Crystal clear chat. The soft-feel cushioned headband is fully adjustable ensuring ultimate comfort and less distractions. Simply connect to any compatible device and the XH-100 Gaming Stereo Headset is ready to go when you are! Nintendo 3DS. 2DS CONSOLES. 3DS CONSOLES. SWITCH ACCESSORIES. SWITCH CONSOLES. Eye-popping colours and a sleek design are just the start. And Chat instantly via our retractable noise isolating Mic. Our cushioned Headband is 3-way adjustable, while unique, cooling ear foam gives hours of comfort. LPC Wired Chat Headset Multiplatform. Improve your online gaming experience with this unique wired chat headset. 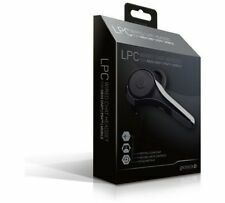 The LPC has a lightweight design and a flexible earhook that can be worn on both ears. Simply connect to any compatible device and the XH-100 Gaming Stereo Headset is ready to go when you are! 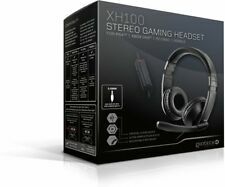 The XH100 Stereo Gaming Headset has been designed to work with devices using a standard 3.5 mm headset port (see compatibility for details). Simply connect to any compatible device and the XH-100 Gaming Stereo Headset is ready to go when you are! 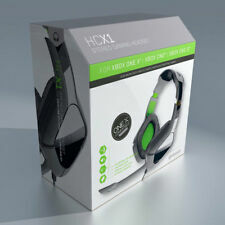 Features Lightweight wired gaming headset. Adjustable mic boom for clear voice transmission. Gioteck. Let's Game. 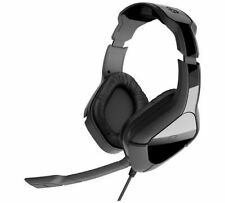 One great headset that delivers amazing sound and chat wherever you game. Simply connect to any compatible device and the XH-100 Gaming Stereo Headset is ready to go when you are! The adjustable, lightweight design ensures you'll stay immersed in the action from start to finish and enjoy total headset comfort when using with your PS4, Xbox One, PC, Mac or mobile device. Padded ear cushions provide noise-isolation and hours of comfort, whilst the in-line controls put volume and mic mute controls at your fingertips - so you can stay focused on the game. *Headset compatible with Xbox One Controllers that include the headset port. Controllers without the headset port will require the Microsoft Stereo Headset Adapter. (Sold Separately) Compatible with PS4, Xbox One*, PC,. Compatible with Xbox One, Xbox S & Xbox X. 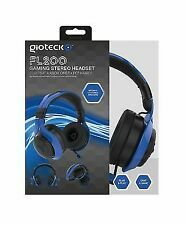 Designed specifically for the new generation of consoles, Gioteck has created an unparalleled stereo gaming headset that delivers on quality, design and price. Lag free audio. Crystal clear chat. Adjustable VR headband for extreme comfort. Compatible with Xbox One, Xbox S & Xbox X. Made by: Gioteck. Add to Favourite. Scottish Highlands & Islands and Isle of Man. Northern Ireland, Channel Isles. Simply connect to any compatible device and the XH-100 Gaming Stereo Headset is ready to go when you are! Lightweight wired gaming headset. Box Contains 1x Stereo Headset. Simply connect to any compatible device and the XH-100 Gaming Stereo Headset is ready to go when you are! PlayStation 4. ONLY£14.85. Crystal clear stereo sound. We are here to help! Retractable Noise-Cancelling Mic.